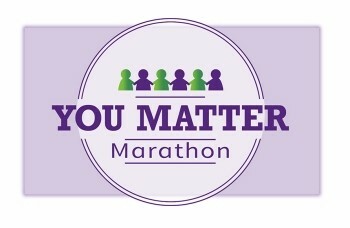 Great News: Fundraising for the 2017 You Matter Marathon is off to a gangbusters start! BIG thanks to those who have already contributed to our campaign, either by making a donation or spreading the word. YuMMies have contributed almost $5,000! YMM is proud to welcome three new corporate sponsors: Penn Medicine, H. Martin Consulting, and Global Coaching Alliance. In just one week we raised over $20,000 – more than a third of our goal. Clearly people believe in the power and promise of our message! Now, what we can do together this week. Make a $15 donation today! Every dollar counts. To donate online click here. Share the campaign with your friends on social media. Just use this link. If you know a company that might consider being a sponsor of the YMM, please direct them here for our sponsorship levels and incentives. Every Marathon Needs a T-shirt and Now we Have Ours! Be one of the first 50 people to make a $50 tax deductible donation to the YMM and we’ll send you a shirt for free. Click here to purchase your own YMM t-shirt for just $25.00. Shirts come in all sizes for both men and women. 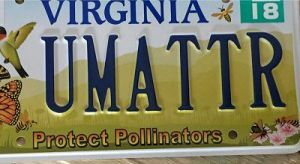 YMM 2017 Preview Webinar: 233 people signed up for our webinar last week. Click here if you want to view it or share it. Thanks to Becky Robinson and Aubrey Kirkendall of Weaving Influence for hosting it. Updated 3-minute video of the YMM in action. Also great for sharing. Brand new 1-minute YMM 2016 highlight video.